Volunteer Work Days Have Begun! 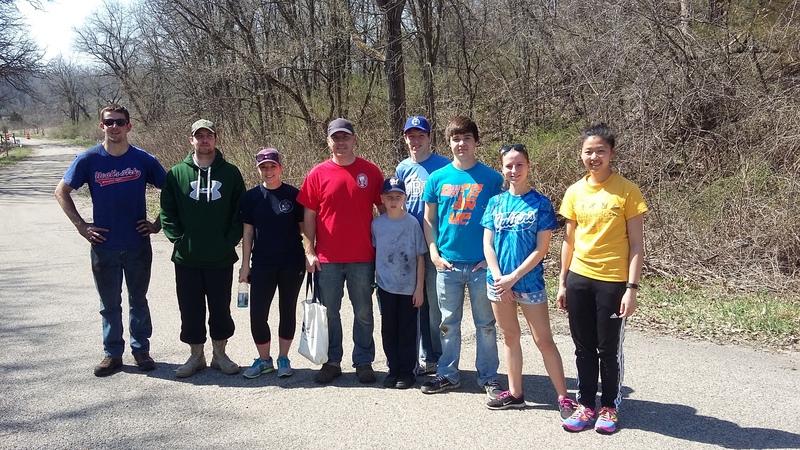 The Alliance has held three volunteer work days already this spring. 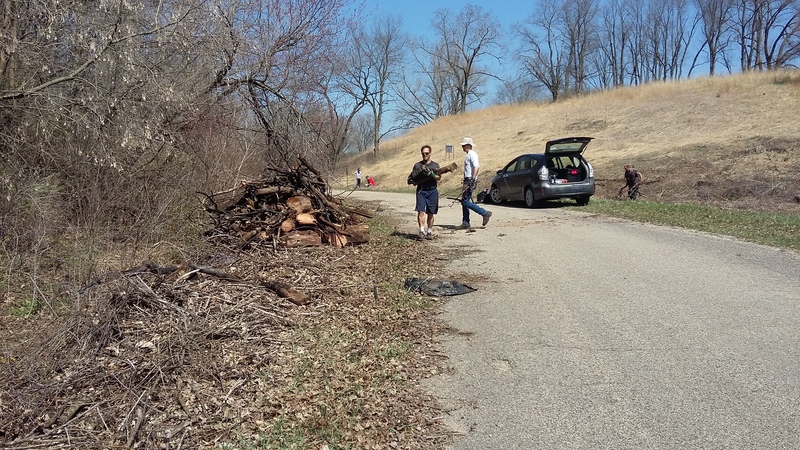 On March 12th, 20 individuals helped to clear brush from the prairie nursery outside of the Badger property in order to stimulate growth of the prairie species planted 15 years ago by the DNR, in collaboration with the Army. 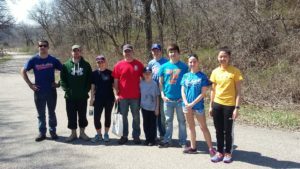 On April 9th and 16th, 15 and 22 volunteers, respectively, joined the effort to remove garlic mustard from the “Hillside Prairie” inside of Badger. On Saturday April 16th, a team worked with Bob Costanza, a certified chainsaw operator, to remove dead trees from inside of the prairie. By removing the dead trees from the site, DNR will better be able to burn the prairie without concern for lingering burning woody material. 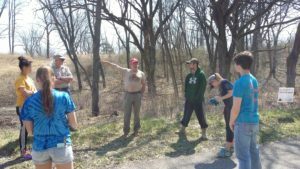 We were delighted that Dr. Dave Olson from the University of Wisconsin-Baraboo/Sauk County campus, invited some of his biology students to join the work day. 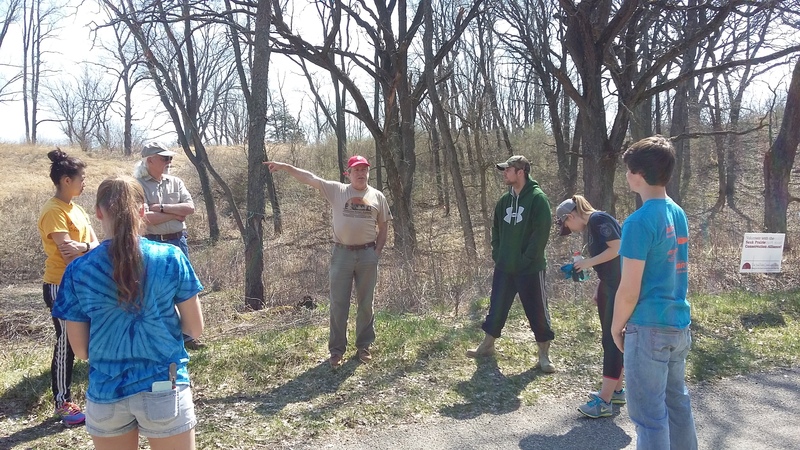 Dr. Curt Meine, Alliance founder, gave the students an orientation to Badger and the prairie site (left). 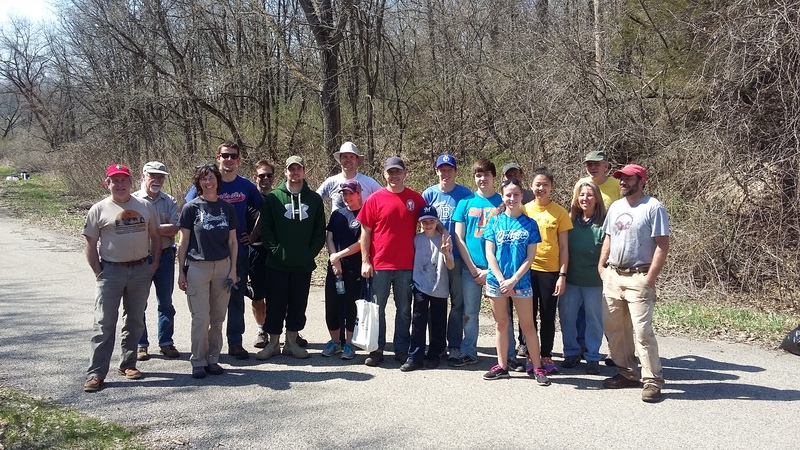 A total of seven students participated; Dr. Olson (red shirt) joins the students for a post- work day photo. .